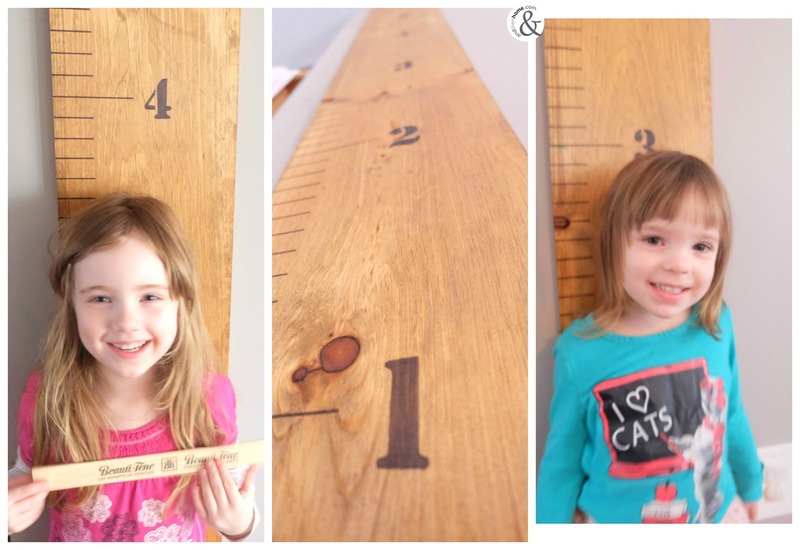 I have been wanting to make a growth chart for my three girls since I saw them popping up on my newsfeed. I have been procrastinating for a while thinking that this project was going to be a big one, but I was pleasantly surprised by how easy it was! 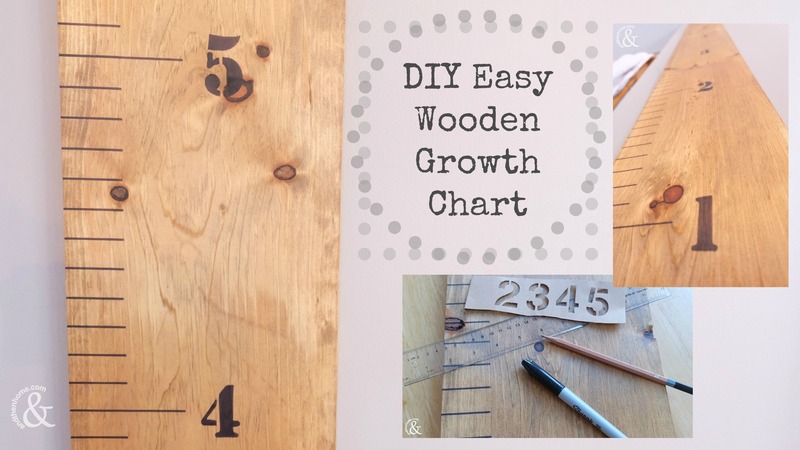 If you have the time, let me tell you a little bit about making an DIY Easy Wooden Growth Chart, or skip down and see the How To. 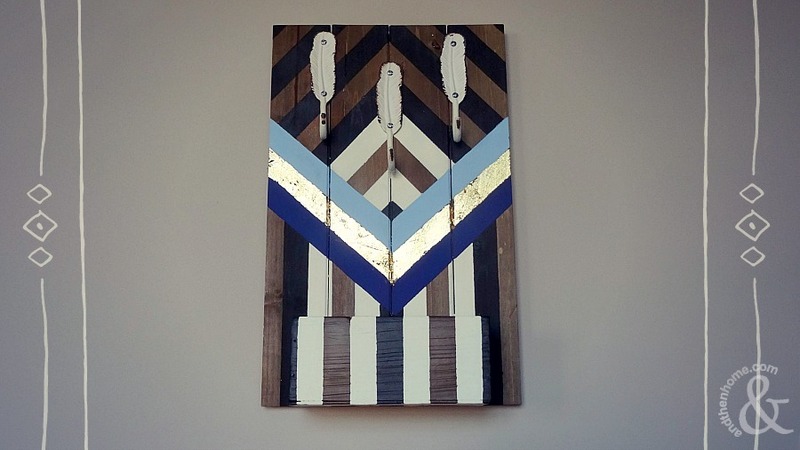 Remember that when you hang your board, you’re not going to hang it flat on the floor. 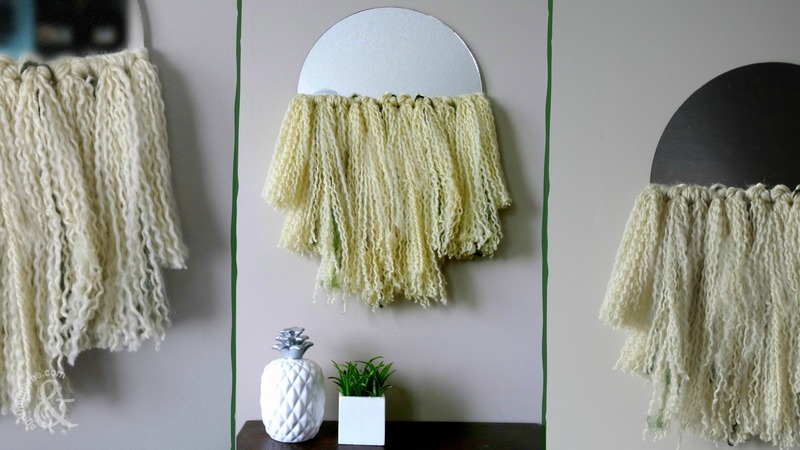 You’ll want to hang your board a couple inches above the floor, at least above the baseboards. So, a six foot board will give you a growth chart of about 6’5, which means you can measure you kids when their adults! They’ll love it, I’m sure. The longest part of this project is staining the wood. 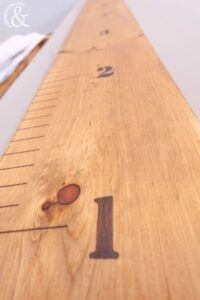 Make sure you apply the stain evenly and allow it to dry completely before moving onto the next steps. Pick any colour you like, but keep in mind you want to be able to see the numbered chart and more importantly your child’s growth. For these reasons I chose a light stain. This way I could use a black sharpie (keep it simple!) for the chart and also any colour sharpie/paint pen to mark the growth of my kids. I could even do one colour for each of my girls ? Stain the wood plank, follow the instructions on the side of the can. Apply it evenly and allow it to dry completely. Using your ruler, measure and mark every inch along the length of the board. 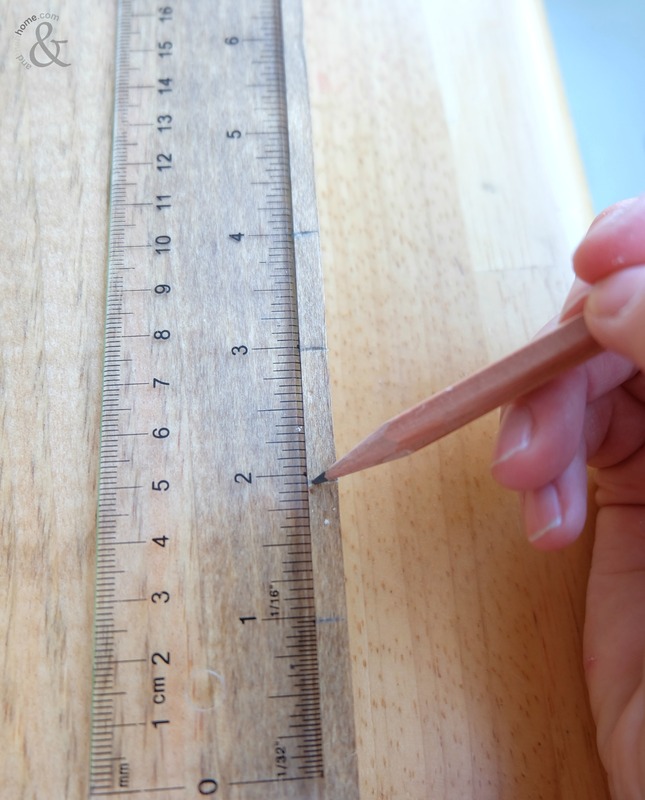 Don’t press too hard with your pencil as it could indent in the wood. 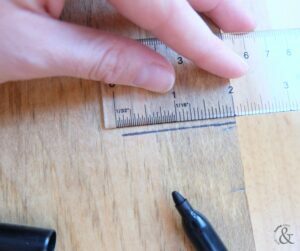 Using your paint pen/permanent marker, go over every mark with the ruler making a 2” line. Onto the numbers. 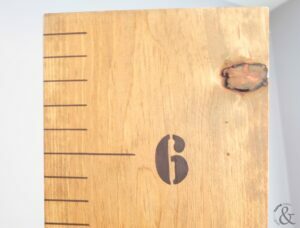 Begin number one at the 6 inch mark. Then add the other numbers every 12” until you reach 6. 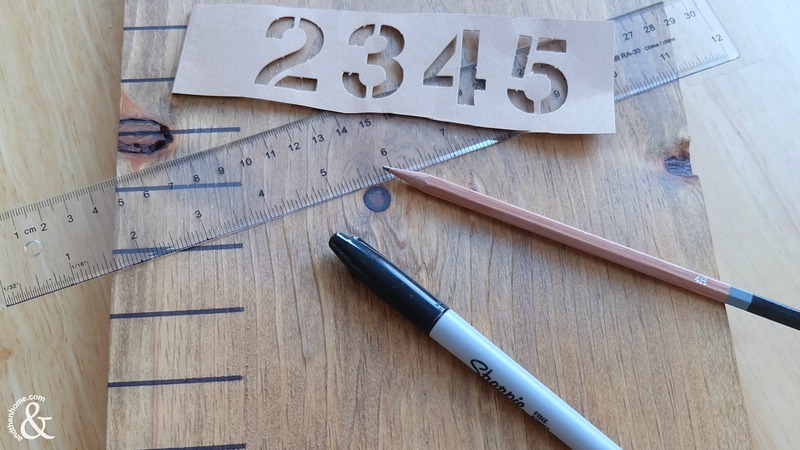 Use your stencil or freehand it! Thats a wrap, your chart is finished. All you need to do now is measure your munchkins. 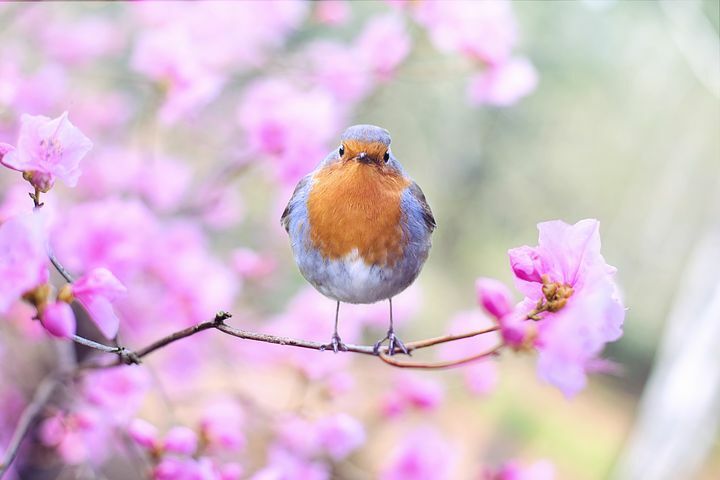 When they are young, you can even measure them twice a year and you’ll notice a difference. 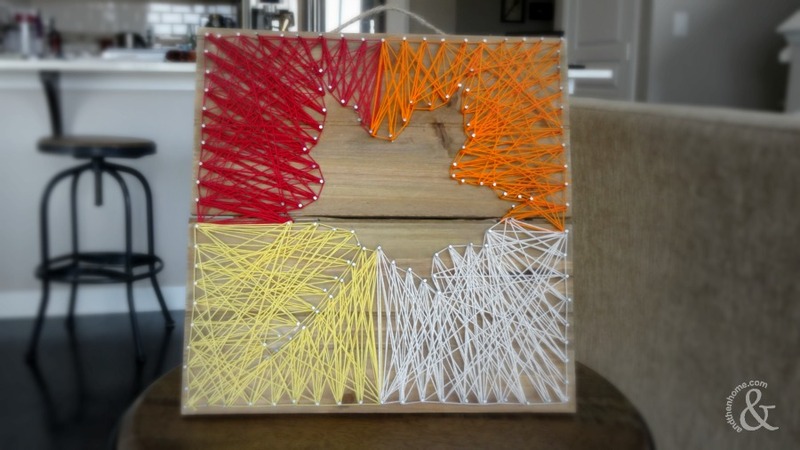 This is such a fun project and definitely easier to make then you think. I’m excited to see this growth chart on my wall for years to come. If you loved this DIY board, check out our beautiful Boho Chevron Gold Leaf Key-Holder or if you’re looking for something to do with the kids try making these DIY Ice Globes Kids Project.